Today, Stansberry Radio announced the launch of a new podcast to its independent financial research radio network. The new show, hosted by author James Altucher will be distributed via iTunes and StansberryRadio.com. Altucher, who has served as regular guest host on Porter Stansberry's Stansberry Radio podcast, will focus this new program on financial and emotional success – with the primary focus in the same vein as his recently released best-selling book, Choose Yourself. The first show will be available January 24th and can be accessed here. James Altucher is an American hedge fund manager, entrepreneur, and a bestselling author who has made numerous appearances on Stansberry Radio Podcast. Altucher began as an interviewee on the show and since then has been a stand in host for Porter Stansberry on many different occasions. Altucher provides a relatable and understandable approach to investment advice, which has received a lot of positive feedback from audience members around the world. 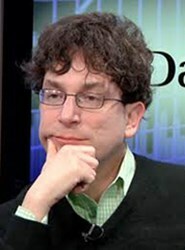 Altucher is also the former president and founder of Stockpickr LLC, a wholly owned subsidiary of TheStreet.com and part of its network of Web properties, and a managing partner at Formula Capital, an alternative asset management firm that runs a fund of hedge funds. He also is a weekly columnist for the Financial Times and the author of the books Trade Like a Hedge Fund, Trade Like Warren Buffett and SuperCa$h. The Stansberry Radio Network is becoming a required stop for financial experts, economists, politicians and the media. The show has been host to a wide variety of prominent names, including Lauren Lyster and Jeff Macke . Other guests have included Mike “Mish” Shedlock, MSNBC host Chris Hayes, Co-host of Ron Paul’s America, Charles Goyette, publisher Steve Forbes, and renowned investors Jim Rogers and Marc Faber. Stansberry Radio Network segments can be accessed at http://www.stansberryradio.com.